We are continuing to raise money to help publish a creative journal supporting reading and writing in the rural communities of northern Peru. This is to inspire reading and writing in both adults and children. The creative journals are designed to be small enough to fit in a pocket so they can be taken into the fields and used during their rest breaks. The series Leo y Escribo (I read and I write), features several stories related to Indigenous life and will include blank pages for recording their own stories and ideas. 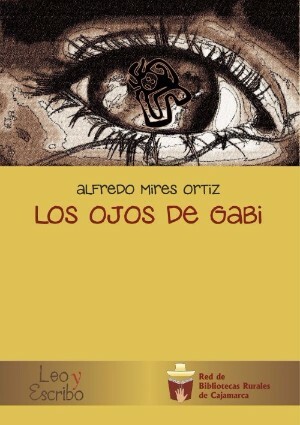 The first two books in the series are Los ojos de Gabi (The Eyes of Gabi) by Alfredo Mires Ortiz, and Masa (Mass) by César Vallejo. The creative journals contain inspirational words, stories and poems with pages for the readers to add their own thoughts, stories and ideas. The Eyes of Gabi - a book about the life of Gabi, a little girl with cerebral palsy, and the rural community's journey to acceptance of disabilities.